A lot of people who come to Poole Windsurfing for lessons tell us that they want to learn, so that they are ready for their windsurfing holiday aboard. So we thought we’d do some reviews of interesting windsurfing locations around the world, starting with Tallinn, capital of Estonia. The waters off the coast of Estonia are shallow and there is plenty of wind, making it ideal for windsurfing and kitesurfing enthusiasts. 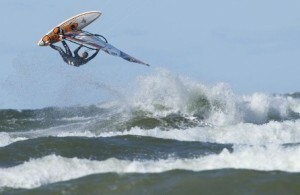 There are many windsurfers in Tallinn and over 5,000 kitesurfing enthusiasts in Estonia. Windsurfing in Tallinn is enjoyed in the sea and on the lakes – one of the popular windsurf lakes being Harku. In the winter ice-surfing tracks are opened in Estonia giving the surfing a whole new feel. All the necessary equipment and accessories can be rented from the many service providers in coastline harbours, surf clubs and lake side holiday resorts. Most rental outlets require that you have at least basic skills, so make sure you’ve had your lessons at Poole Windsurfing before you go! The best time for surfing in Estonia is from late spring (April) to early autumn (September). The capital, Tallinn is a very beautiful medieval town, so if you can, plan an extra few days to look around. The best place to stay is in the historic old town and if you want affordable luxury Tallinn accommodation the best choice is a serviced apartment. •	Beaches in Tallinn and Pärnu are best for beginners and intermediate level windsurfers. It is possible to rent equipment at a number of beaches, for example Pirita and Harku. •	Ristna (Hiiumaa Island). Known as “a windsurfer’s paradise”. Because of almost constant heavy winds, Ristna is very popular among skilled windsurfers. Equipment rental is also available. •	Vääna-Jõesuu (25km from Tallinn). A beautiful beach with great wind conditions. •	Roosta holiday camp (near Haapsalu, 115km from Tallinn) is the perfect choice for a longer all-in-one windsurf vacation for beginners. Equipment rental is available. •	Kaberneeme harbour (30km from Tallinn) provides you a beautiful beach with a view over tiny islands and historic fishing villages. Windsurfing equipment rental is available. •	Saaremaa Island is the largest island in Estonia, and is also a popular destination for windsurfers. Windsurfing Locations – Where is it windy?